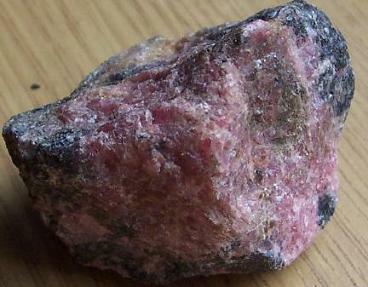 Rhodonite is a mineral that is formed out of the primary processes of hydrothermal solutions. A large proportion of this mineral is formed through regional metamorphosis of sedimentary Manganese ore deposits at relatively low temperatures. It results from a chunk of rose colored masses, which are partially oxidized through the process called weathering. It contains the minerals of calcium (found in mica), manganese, silica, aluminum (found in kaolin clay), iron, oxygen, lithium, potassium and sodium. Many of these minerals are found in mineral makeup. This healing stone has a triclinic structure. Because of its beautiful color and fine texture, rhodonite is a popular medium for stone masonry and architectural projects. The mineral name Rhodonite was named after the Greek word rhodon which means "rose". For 200 hundred years, this rose colored mineral stone is called upon such name. Beyond its physical beauty, the mineral carries some interesting spiritual attributes that are known to bring about realization of misdeeds, mutual understanding and healing. Rhodonite is considered a stone about self-worth. This is because it aids one's purpose and emotions to bring clarity to the call toward one's spiritual path. It liberates us from spiritual and physical pain, promoting forgiveness to do away with the festering anger and annoyances in one's life. Everyone has their own skills and limitations. Everyone has an ability or gift, which they utilize to service spiritual beings. Rhodonite helps you understand one's purpose. It helps you realize the skills and abilities you have to perfect them and put them to use in serving the highest good. In many ways, the stone encourages forgiveness and reconciliation through understanding. It convinces us that strife and hatred are often fueled by lack of self-love. 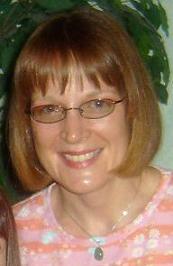 Overall, it stimulates learning from life to achieve spiritual maturity. Whenever you are threatened, physically or emotionally, Rhodonite makes it possible for you to remain clear and conscious even in extreme situations. Still, it helps dampen the urge for anger. Whenever you are under threat and great pressure, it encourages deeper understanding of one's acts to pave the way for forgiveness. Revenge is known for its self-destructive effect. To maintain harmony, one needs to maintain calm to remain level-headed in dealing with other people's misdeeds. Although unpleasant, Rhodonite elucidates one's sense of meaning or gain to bring light or to show the way out to seemingly hopeless situations. Physically, rhodonite is one excellent wound healer. Aside from supporting liver functions to stimulate detoxification, it works great in limiting the damage of wounds, from small cuts to deep cuts. It helps manage suppurating wounds by eliminating the toxins out of the damaged tissues, promoting fast healing of wounds. It prevents the formation of scars from open spots and acne. In fact, if you wear it for long periods of time, it will prevent emotional stress that acne can cause. Rhodonite is an excellent participant of mantra-based meditation. It is a stone of power with the ability to see through one's energy or talents, which can affect the change of Earth plane. It is also a stone of learning and development. It perceives talent and promotes guidance to its use to serve the highest good. It encourages the expansion and perfection of one's skills to be used to help others. In many ways, Rhodonite brings about a cooperative energy within the community as it speaks to people of their responsibility to use their skills in assisting and recognizing the need of all. Beyond healing, rhodonite is also known as an emotional balancer. It encourages camaraderie or brotherhood in promoting physical as well as spiritual healing with its strong resonance for forgiveness, reconciliation and assistance in long-term pain. It encourages a sense of inner peace in synergistically promoting prosperity by dispelling negative energies that bring about misdeeds, pain and illnesses and manifesting dreams that promotes understanding. Back to crystal meanings page. Have A Great Gem Healing Stone Story? Do you have a great gem healing stone story? Especially about this one? Share it! If requesting a sample, you must reside in the US, US Virgin Islands, Puerto Rico or Guam and I must have your address!